Ladies Nite has been a promotion that bars and nightclubs have used for a long time to attract people. Where the ladies go, the men will follow. That is what makes this strategy so successful. The Ladies Nite Mobile Casino game uses this idea to create a fun and exciting slot machine that people can play anywhere or anytime on their mobile device. The first thing that players need to realize about Ladies Nite mobile game is that it is not for women only. Men are allowed to play the game as well. The symbols and the way the game plays may be geared more for women, but there is nothing stopping any man who wants to from playing this game. Ladies Nite Mobile game is a 5 reel slot machine that has 9 paylines. It offers a maximum jackpot of 10,000 coins. It includes wild symbols, multipliers and a scatter symbol. The wide variety of ways to win will keep players interested for a long time. The high payout rate also helps people play longer. The symbols are very familiar to the ladies that play this game. Lipstick, perfume, handbags and fruity drinks are all represented in this game. A disco ball acts as the wild symbol. It will replace any other symbol on a payline to turn that line into a winner. It will also act as the multiplier. The symbol doubles the winnings on any payline. When you see the waiter appear on one of the reels, you have found the scatter symbol. Two waiters on any of the paylines produce a winner. Three or more waiters put the player into the free spin mode. 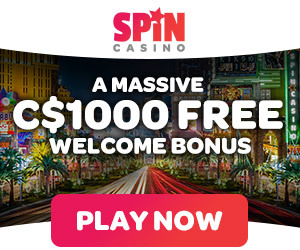 The player is awarded 15 free spins. If you get three or more waiters again during the free spins, you get 15 more spins stacked on top of the first ones. Men will really enjoy the gambling feature of Ladies Nite Mobile game. They know that every time they go to a ladies nite they are taking a chance, so it seems only natural for this game to include this feature. Any time a player wins on a spin, they can opt to gamble their winnings by choosing the color of a card. If they match the color they will double their winnings. If they get the suit of the card correct they will win4 times as much. The Ladies Nite mobile game does not include any bonus games, but it really does not matter. The game is exciting enough without it. The great graphics and music make this a great game to play. If you want to start playing Ladies Nite Mobile game, you do not have to go very far. You can access the game from you mobile device and start playing in just a few minutes. It only requires a few simple steps. Collect your promotional bonus by making a deposit and start playing. Your account can be credited instantly depending on the payment method you choose.